The scriptures say that such men are “evil men and impostors” who “will go from bad to worse, deceiving and being deceived”. (2 Timothy 3:13) Pringle says that he doesn’t preach a prosperity gospel. Below is an excerpt from the above article. “And the deal – some people accuse that – just what I said then, saying, ‘Oah! That’s prosperity gospel’ or whetever. 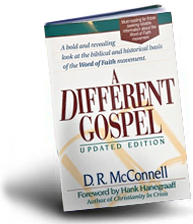 I’ve never preached a gospel other than about Jesus my whole life. That’s the gospel: Jesus Christ. Beginning and end. You know I got no other message then that one.” – Phil Pringle, Steven Furtick ‘Stay Behind The Guide’, http://www2.myc3church.net/videos/steven-furtick-%E2%80%98stay-behind-guide, C3 Church Oxford Falls, 15/04/2012. 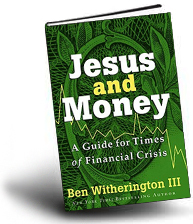 We have covered in the past that Pringle teaches that Jesus died to make believers materially rich. 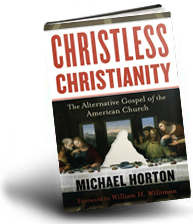 We also know that the faith he preaches is more occult-centered” than Christian centered. 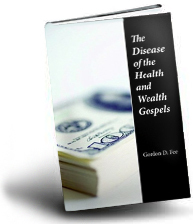 Once again, the evidence seems to point out that he DOES preach the false prosperity gospel and that he doesn’t preach the gospel of Christ and Christ crucified. Founder and President of renowned C3 International ministries, Phil Pringle, was in town during the weekend of 29-30 August 2009 to speak at City Harvest Church’s (CHC) English Services. “God wants to bring freedom and victory to believers,” said Pringle on 29 August 2009, the evening service at the Singapore Expo. His sermon spoke largely of God having a purposeful plan for Christians and how their lives should not be one of fear and destruction. Pringle added to his point by saying that, “God thinks of many things; but one of the greatest things that He thinks about is His people,” in other words; God will always have a wonderful plan for everyone’s life simply because He loves His people. 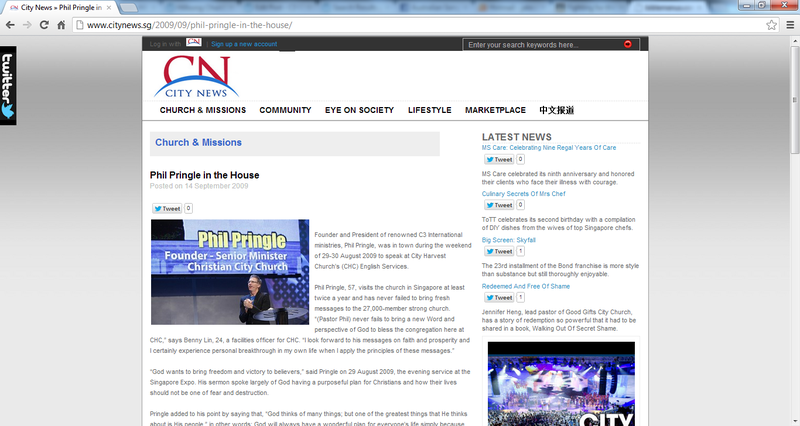 The next visit to CHC for Pringle would be for the upcoming Asia Conference 2010, a bi-annual conference organized by CHC. “Now here’s the thing, without wind that boat is going nowhere. A boat is just a boat going nowhere until its got wind in it; a Christian is just a Christian on earth doing nothing until the wind hits you. To get that wind, you gotta position yourself in the right place. And you know exactly what I’m gonna say: I mean, be in Presence, amen! If you’re there, it’ll happen! The touch of God can come on your life. Mark out all the other stuff, nothing is more important than you getting fresh wind in your life as a believer! And getting yourself carried by the greatest wave that you can ever have in your life! So suddenly you become effective and you’re doing things that you never did before. 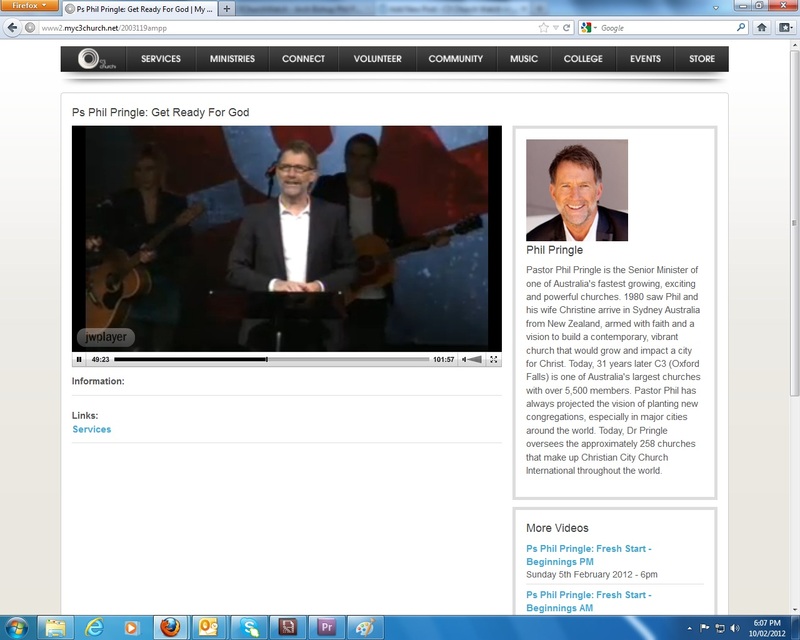 – Phil Pringle, “Get Ready For God”, Sunday 6pm Service, Oxford Falls Campus, 20/03/2011. In video 1, before his sermon, Phil Pringle prophesies revival . As you watch this sermon, he is linking both the prophecy and sermon to the 2011 Presence Conference. 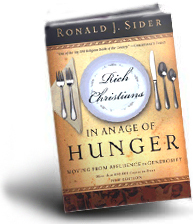 A few months later in his sermon ‘Financial Excellence’, his outburst exposes that his prophecy regarding Presence Conference did not come to pass. In video 2, Phil Pringle teaches he is a John the Baptist ushering in Jesus Christ to bring revival at His Presence Conference. Pringle the Baptist states that Jesus says to John, “I want to do it. I want to do what you’re doing. I want to get with the program. I want to get on the same page. I want to come to Presence. I want to be in church” (4:43). In video 3, he tells people to catch the winds and the waves (thus the scripture above). 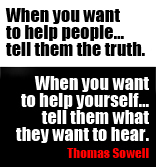 In video 4, Phil Pringle belittles Christians who are like doubting ‘whinging’ Thomas’ (6:32). Thus he butchers John 20:24-29 to market (and guilt) his congregation to attend Presence 2011, (3:44). Constantly throughout the sermon he is connecting his prophecy of revival to the Presence Conference. The scriptures are right in prophesying that “children [are] tossed here and there by waves and carried about by every wind of doctrine”, by men like Phil Pringle who use the “the trickery of men, by craftiness in deceitful scheming”. NOTE: THE SCREEN GRAB WERE TAKEN BEFORE THE 11/02/2012. To tackle the Warragamba Dam more fully, we will now be examining what Pringle said in his morning service on the 4th of March 2012. This commentary was made by Phil Pringle on the first Sunday after Warragamba Dam reached it’s full capacity. “On Wednesday morning, ah, we had our staff meeting (and because we were having a board meeting afterwards, Paul Macken was on our board). Ah, he ah. He was in the ah, staff meeting. And ah, he reminded me of something that ah, I had apparantly said three years ago in the middle of our seven year drought in New South Wales when Mr Flannery ah, announced that there was- the Warragambah Dam would never be full again. We could only ever hope for it to get to about 70% and so we better build a desalination plant at huge cost to the tax payer. Apparantly it’s a hundred dollars a year for everybody in New South Wales, ah, added on. He should have come to church amen because, apparently I uh, (and I can remember this), uh standing up and I saw ah, Warragamba Dam overflowing. Just ah, not long before that, I had been in a situation where the Lord had shown me something. And it was just very challenging to say it, because I was in a- I was in a huge auditorium of one hundred and fifty thousand people and I was about to ah, pray in that meeting. And as I stood up to pray the Lord said, “Prophesy the sun is gonna to shine”. I said, “Give me a break God! We’ve been sitting in this freezing rain for eight hours and it’s been raining for days and it’s pouring down”. Black skies. I said, “There is no way it’s going to shine”. And he said, “Say it’s going to shine”. You know I couldn’t get rid of this conviction. So I stood up and I kinda did a mealy-mouth prayer and said, “Oh Lord! Let the sun shine! You know I’ll, you know, [fist pumps] I’ll believe God You’ll- North Korea will have revival, amen!” It was a great moment but then the- but when I opened my eyes, the whole sky had parted and it was shining. And I thought, “Awww! I should have said “Shine!” Amen”. So. They called me the prophet of sunshine from then on up in Korea because, [word fumble] you know the guy from Australia brings the sunshine. And a- and so umm. I made a commitment, “Lord, I’ll just say the stuff that I see and” and uh. And uh- And so that, you know, prompted me in that meeting and I said, “I can see Warragamaba Dam. It’s gonna flood over”. While I’m saying this I’m [like], “What are you saying? It’s like – we’ve been in this drought and it looked like it was never going to happen again”. But on Friday, I think uh, Friday night, it overflowed. And uh- amen! That was- uh – got one hundred per cent full. And uh- we flowed over. Obviously if it hadn’t happened I wouldn’t be telling you this story but um… Haha. But thankfully it did. But here’s the thing. Ok. So. Ah- You know occasionally- definitely- I see things and – it’s a gift that God gives to people, called the gift of prophecy and seeing things in the future. Ah, I find that most happens within individuals. I can see something going on in their future and whatever. But ah- with this, ah- that- the reason I tell you that is not for the sake of just telling you. You know like, “I said so”. Because there was an addendum to that. Ah, that, ah, was quite ah, quite interesting for me. And, you know ah, in 1998 you’ll recall we had in an OZFIRE meeting, (Presence Meeting), I gave a similar thing about the two tallest buildings in the world coming to the ground and after that, a financial melt down. And ah- then streams of people would start coming into the house of God. And that actually happened in all kinds of ways. But the point of the physical occurrence of these things was to indicate another thing that God was actually about to do. And I remember when I- when I actually announced that, that ah, “Immediately afterwards when that happens, when Warragamba Dam does spill over, that’s the time that the Lord will bring a fresh new move of the Holy Spirit all around Australia. And we’ll see a move of God like we have not seen before”. And ah, with all my heart, I believe that we’re about to enter into all kinds of new days and a fresh anointing, a fresh oil- And I’m just so thrilled with you guys. Every week we turn up – you know seeing your faithfulness, your strength, you’re – we’ve been through so many different pieces of the landscape and the terrain of God that when we get to this point, when God’s about to do something He will build on, those who’ve come through all the stuff and being faithful to Him and being true to Him – in spite of difficult circumstances and- I’m believing that there is definitely a breakthrough day coming up ahead of us. And I think you and I have got to get ready in all kinds of ways. One of the new ways that will come upon us is the use of screen technology. And God will use that in all kinds of- and we’re getting ourselves very ready for that ah, in- which I’ll explain later in a later date. More about that. But one of the things we are doing in our college, it would be one of the few colleges in Australia, (I don’t know anybody else, who’s got courses that train students in media and graphics and ah- short films and the acting and the presenting for all of that), so it’s such a great time to get ready, to actually uh, get ready for that new day. That new move of God. You might be watching on TV right now or ah, online and ah- just consider that. Think about actually getting yourself ready for- because, because God will be looking for people who are not gonna to get ready but who are actually in position, ready to catch the ball and run with whatever He’s gonna do. We’re excited, man! I’m excited about you! I’m excited for all the great things that are gonna happen to some of you. Cos eventually, you gotta understand, trials finish. I know some of you have been in trials that seems like, forever. But eventually trials come over and then the blessing- the day of blessing comes through, when you get your breakthrough. Eventually, God does answer prayer. And ah- eventually it does come through. You can’t keep praying and praying and praying and praying and praying and nothing ever happens. Eventually the day comes when the sun comes up! And your days of mourning are over and the turtle dove sings in the land, amen!” – Phil Pringle, Ps Phil Pringle: Heartbeat – Servanthood, 34:09-40:41,http://www2.myc3church.net/videos/ps-phil-pringle-heartbeat-servanthood, C3 Oxford Falls, Morning Service, 04/03/2012. Above in his own words, Pringle gives us very valuable insight. Before we continue, we encourage you to watch the Warragamba Dam prophecy in Part 1 in this series of articles before reading onwards. 1. “… when Mr Flannery ah, announced that there was- the Warragambah Dam would never be full again. We could only hope for it to get to about 70% and so we better build a desalination plant at huge cost to the tax payer. Apparantly it’s a hundred dollars a year for everybody in New South Wales, ah, added on. Pringle clearly gets cocky about his prophecy and suggests Mr Flannery “should have come to church amen because, apparently I … remember … standing up and I saw ah, Warragamba Dam overflowing”. Should this be the attitude of a ‘prophet of God’? Does the spirit behind the prophet point us to God or the prophet? We looked at this attitude of Phil Pringle in Part 2, where Pringle also had a go at Flannery again on the last day of Presence Conference. 2. “And as I stood up to pray the Lord said, “Prophesy the sun is gonna to shine”. I said, “Give me a break God! We’ve been sitting in this freezing rain for eight hours and it’s been raining for days and it’s pouring down”. Black skies. I said, “There is no way it’s going to shine”. And he said, “Say it’s going to shine”. You know I couldn’t get rid of this conviction. So I stood up and I kinda did a mealy-mouth prayer and said, “Oh Lord! Let the sun shine! You know I’ll, you know, [fist pumps] I’ll believe God You’ll- North Korea will have revival, amen!”. It was a great moment but then the- but when I opened my eyes, the whole sky had parted and it was shining. And I thought, “Awww! I should have said “Shine!” Amen”. Pringle points out another prophecy he made in Korea. If Pringle WAS a genuine prophet – his attitude is abysmal towards God. He was disobedient in three ways. Pringle didn’t do as God said and did it his way. When God supposedly said, “Prophesy that the sun is going to shine” – Pringle not only disobeyed that instruction, he ‘prophesied’ saying, “I’ll believe God You’ll- North Korea will have revival, amen!” This only goes to show that Pringle wants to see revival happen in spite of God NOT even saying revival will happen. How can C3 trust their prophet if Phil Pringle adds to God’s simple instruction like this? Did this revival come to North Korea? This insight from Pringle only reveals that Pringle is a very disobedient prophet (even if he was somehow legitimate). However, if Yonggi Cho’s church called Pringle “the prophet of sunshine from then on”, then Pringle must have portrayed himself as a ‘prophet’ to them somehow. This is probably because he prophesied revival. So if Pringle was somehow a legitimate prophet, would you trust Phil Pringle who is openly disobedient to God in more ways then one, in regards to prophecy? 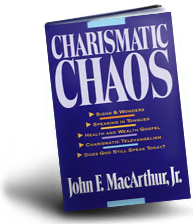 Would you believe a man who prophesies ‘revival’ on everything, even if some-how God tells him to prophesy issues that aren’t connected to revival? It is interesting to note that while Pringle said earlier that he “can remember this”, he, “saw… Warragamba Dam overflowing”. After his prophetic account in Korea he says, “Lord, I’ll just say the stuff that I see”. He then goes on to describe what he saw in the Warragamba dam prophecy. But now we have two different stories. In the actual video, he said, “as I was standing here tonight, God spoke to me about a really weird thing”. In the video, he was continually speaking on behalf of God and not once mentioned a vision. Above he says, “I can see Warragamaba Dam. It’s gonna flood over”. In fact, in his above blurb – Pringle has said continually he saw a vision of the Warragamba Dam full. For someone who remembers giving this prophetic encounter, Pringle is giving us two very different stories. Did God speak to Pringle audibly or did God give Pringle a vision to speak from? 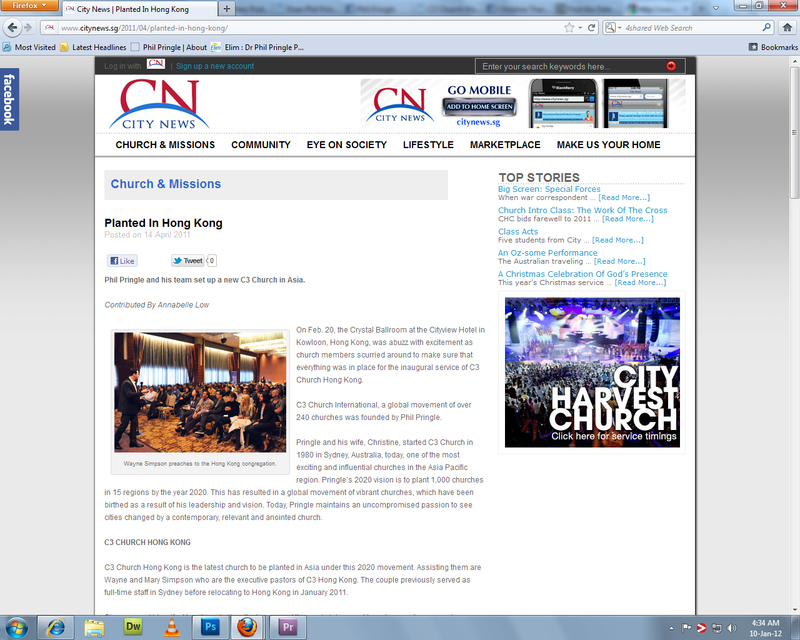 While Pringle treats this as a joke, this is what happens at C3. 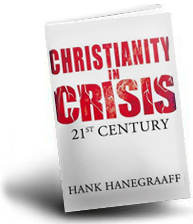 When a supposed vision from God does not come to pass or a prophecy fails to materialise, then it is swept aside by C3. They hope people don’t notice. We have. Expect more articles on these topics down the track. There was indeed an addendum to the Warragamba Dam prophecy. In relation to the dam prophecy, Pringle brings up an old prophecy he made in 1998. He still insists that the twin towers in New York were “the two tallest buildings in the world”. They were not. We proved this prophecy to be false here. We know revival did not occur because of what Pringle said in this article here. This is clearly a false prophecy. Why would Pringle use a false prophecy to say that this Warragamba Dam prophecy is legitimate? Saying the above is risky on Pringle’s behalf. Phil has made this VERY clear by now stating “Immediately afterwards when that happens, when Warragamba Dam does spill over, that’s the time that the Lord will bring a fresh new move of the Holy Spirit all around Australia”. He has NOW set a time when revival is going to come. It’s not a few months away. It’s not next year. This revival will be immediate. 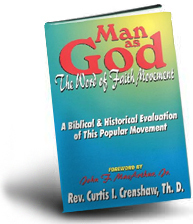 If this revival does not come, this could be disastrous to peoples faith. In the Warragamba Dam prophecy in Part 1, Pringle says in his prophecy that the dam will overflow and revival will come with a condition on C3. We will look more at this in Part 4. However, Phil Pringle also has explained the status of this condition very clearly in the above blurb. Pringle said, “Every week we turn up” and praised C3 for their “faithfulness” and “strength”. He talks about C3’s endurance and how “God’s about to do something He will build on, those who’ve come through all the stuff and being faithful to Him and being true to Him”. Pringle is FULLY convinced that C3 has fulfilled their ‘if’ commitment to God. And the proof of their commitment to God is the Warragamba Dam overflowing. This means if the revival doesn’t come, Pringle does not have his congregation to blame. If the revival does not come, many who came expecting and fully convinced they were faithful, will become disappointed when the promised revival does not turn up. This is dangerous on his behalf. Why? He cannot now back out and blame C3 church for not being committed. If he didn’t say the above and revival didn’t happen, Pringle could pull an Andrew Kubala by blaming the congregation for not being faithful. This means he could escape the consequences of prophesying falsely. Pringle makes it clear that he is convinced that revival is coming because of C3’s faithful commitment. This means they need to “to get ready in all kinds of ways”. We will be looking more into this in Part 4 & 5. Even by analysing the content of Pringle’s Warragamba Dam message on the 4th of March, it is clear this prophecy is false. Remember that C3 showed this prophecy at their C3 Presence Conference on the 10th of April and the 13th of April. That is more than a month later after the dam overflowed. If they were still waiting for the “breakthrough day coming up ahead of us”, then they ignored Pringle’s words that the revival was to be “immediately”. Is it not clear enough already that this is a false prophecy? Why did C3 bother to pick up something that is disposable and parade it at Presence Conference 2012 in front of thousands of Christians? If it hadn’t come, why flog it? In closing, we wish to thank Phil Pringle for his insights. He has helped clarify his ‘prophetic office’, how we should understand the Warragamba Dam prophecy and how it should work out. Pringle has made it clear: if the prophecy is not fulfilled it is either God who got it wrong or Phil Pringle is a false prophet. Either way, this will be a disaster to C3 if revival does not come soon. What will happen to all those expecting revival who are getting “ready in all kinds of ways”? 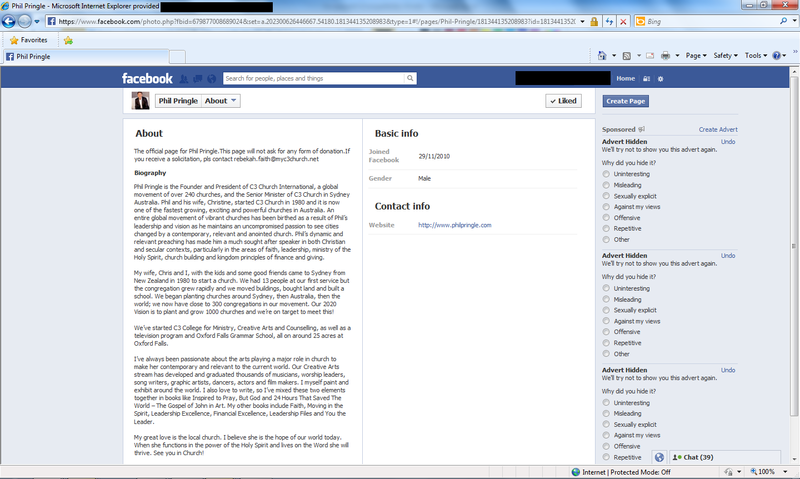 Phil Pringle has made many false prophecies in regards to ‘revivals’ which we have recorded from 1998 to 2011. We will be looking at a number of these prophecies as time progresses. So this is an important claim that Phil Pringle made on the 22nd of May, 2011 in his Sunday night sermon ‘Financial Excellence’. “I’ve a corporate responsibility to the entire kingdom of God. To the whole body of Christ. Now look! I fast. I pray. Everyday in my life, I’m seeking God for a revival. I preach. I worship. I serve as hard as I can go. But you know what? There’s still not a revival in Australia. 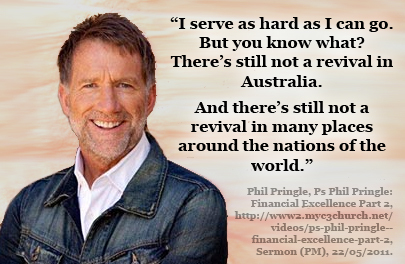 And there’s still not a revival in many places around the nation and around the nations of the world.” – Phil Pringle, Ps Phil Pringle: Financial Excellence Part 2, http://www2.myc3church.net/videos/ps-phil-pringle-financial-excellence-part-2, Sermon (PM), 22/05/2011. Up until now, it seems that all of Pringle’s major prophecies have been about predicting revival. And yet here he clearly states that, “There’s still not a revival in Australia. And there’s still not a revival in many places around the nation and around the nations of the world.” So what does that say about the truth of his prophecies before this statement? For example, here is a prophecy we have of Pringle ‘prophesying’ in 1998. Moriah Ministries also records Pringle making this prophecy in New Zealand in 2005. It is also highly possible that the prophecy Pringle spoke about North Korea in 2007-8, is false. 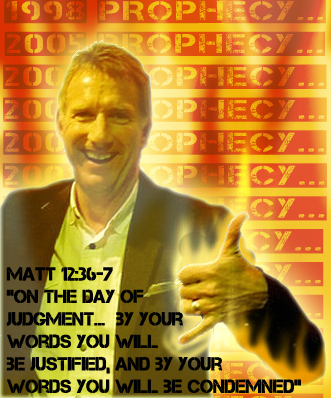 This also means that Phil Pringle’s prophecy prior to Presence Conference 2011 (2 months before the above quote), false. EDIT: PROPHECY LIST BELOW UPDATED 12/06/2012. C3 states the 9/11 prophecy was given to Philip Andrew Pringle on the 31st of December, 1998. Although C3 tried to portray the tallest buildings in the world to be the famous twin towers, they were wrong. After the twin towers were built in 1970-1971, the Sears Tower was completed two years later. The Sears Tower was the tallest building until 1998. The Petronas Twin Towers were built in Kuala Lumpur and completed in 1998. These were the tallest towers in the world from 1998 to 2004, preceded by the Taipei World Financial Center in China in 2004. However in 2007, C3 and Philip Pringle had the audacity to link this false prophecy to the 2001 World Trade Center tragedy. In 1998 he said, “I can see the tallest buildings in the world crumbling to the ground”. So he should have seen the Petronas towers crumble right? If he was wrong – shouldn’t he correct his prophecy? In 2012, Phil Pringle offered no correction to this prophecy and goes along with the belief that the Twin Towers were the tallest buildings in the world. “And, you know ah, in 1998 you’ll recall we had in an OZFIRE meeting, (Presence Meeting), I gave a similar thing about the two tallest buildings in the world coming to the ground and after that, a financial melt down. And ah- then streams of people would start coming into the house of God. And that actually happened in all kinds of ways.” – Phil Pringle, Ps Phil Pringle: Heartbeat – Servanthood, http://www2.myc3church.net/videos/ps-phil-pringle-heartbeat-servanthood, C3 Oxford Falls, Morning Service, 04/03/2012. Yet it was only last year that C3 had their 2011 Kuala Lumpur Conference and used the Petronas Twin Towers for their advert. (Yes we know in that advert that the bible does not usually read Matt 16:18 in that New Age light). Didn’t Phil Pringle see “the tallest buildings in the world, crumbling to the ground”? 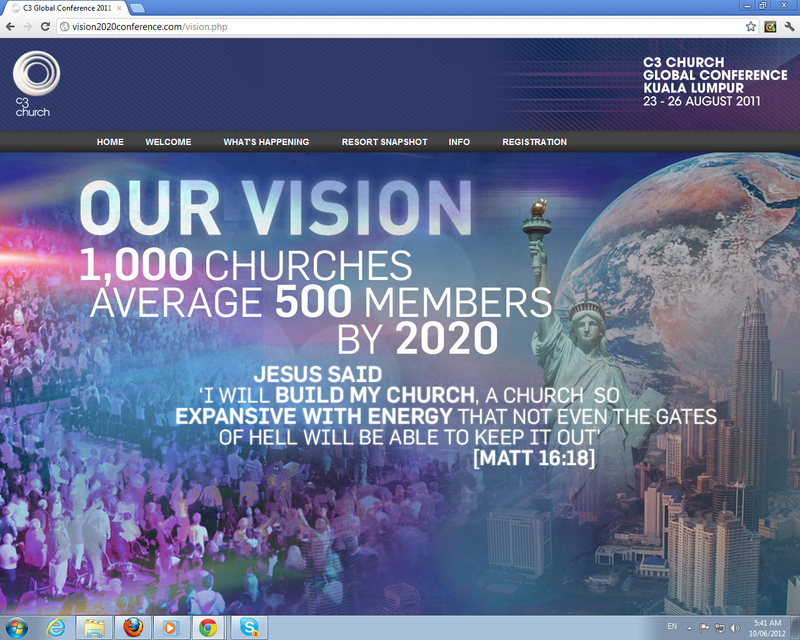 Why did he advertise them to market his 2011 Kuala Lumpur Vision 2020 Conference? If these buildings are still standing, if his church saw them while they were at the KL Conference, shouldn’t they be questioning if Pringle is a false prophet? What also makes this a false prophecy is what was attached to it: the promise of revival. While he didn’t say the word ‘revival’, there is no doubt this is what he is implying. But although in 2012 Pringle says, “then streams of people would start coming into the house of God. And that actually happened in all kinds of ways”, how can he reconcile that claim with this claim he made in 2011? So who is not telling the truth here? Phil Pringle or Phil Pringle? We can actually rule out this is NOT the Spirit of God speaking through Phil Pringle. Christians are under the ONE and only covenant with God. That covenant was made through Christ on our behalf. 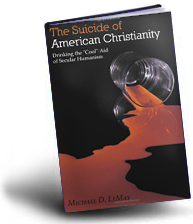 This is why we have the Lord’s supper. This is so we remember Christ’s words, “This is my blood of the covenant, which is poured out for many”. For Pringle to boldly make such a claim on behalf of God, is wicked. Jesus will not bring us into a contract of works where His atoning blood will be discarded. Has Pringle no shame in disregarding the covenant of God while ‘prophesying’ on God’s behalf? This prophecy Phil pringle made in 1998 is a false prophecy. If you have an objections or thoughts in how we’ve handled this critique on Pringle’s 1998 prophecy, please email us at c3churchwatch@hotmail.com. NOTE: THE SCREENGRAB WAS TAKEN BEFORE THE 11/06/2012.